We’ve found great deals at 6664 hotels! 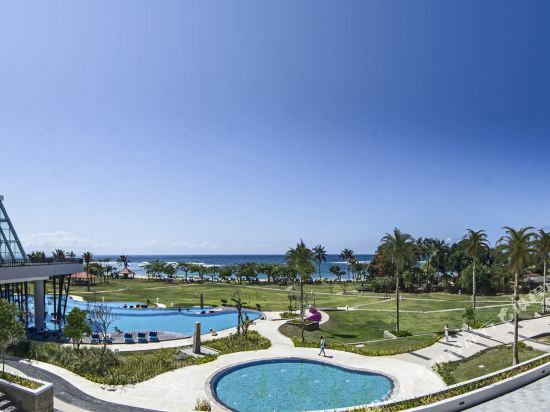 Conveniently located in Nusa Dua, INAYA Putri Bali Resort is a great base from which to explore this vibrant city. With its convenient location, the hotel offers easy access to the city's must-see destinations. INAYA Putri Bali Resort also offers many facilities to enrich your stay in Bali. The hotel provides facilities for disabled guests, concierge, family room, meeting facilities, coffee shop to ensure our guests the greatest comfort. Guests can choose from 460 rooms, all of which exude an atmosphere of total peace and harmony. The hotel offers fantastic facilities, water sports (motorized), spa, outdoor pool, to help you unwind after an action-packed day in the city. Whatever your reason for visiting Bali, the INAYA Putri Bali Resort is the perfect venue for an exhilarating and exciting break away. 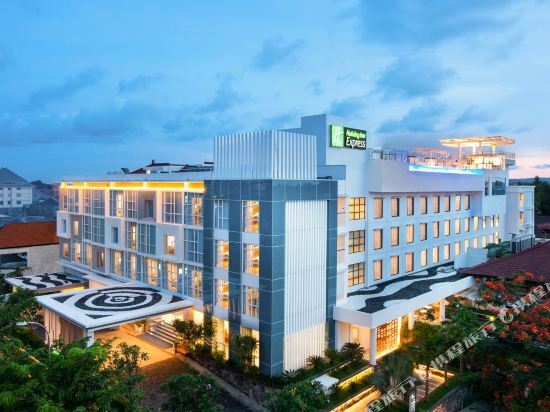 Hilton Garden Inn Bali Ngurah Rai Airport is located very close to the international airport, from which the hotel provides airport pick-up services. Located in the vicinity of the hotel is Kuta Beach, where guests can take part in water activities such as riding on banana boats, flyboarding, and jet skiing. Lippo Mall Kuta, the DTS Duty Free Store, and Matahari Department Store can be easily accessed from the hotel as well. The hotel has multiple room types, assuring the needs of every type of guest are met. Decorative paintings hang on the walls of the modern, fashionable rooms, creating warm and inviting spaces. Guest rooms provide Wi-Fi, air conditioning, LCD televisions, as well as tea and coffee sets. The pristine bathrooms have hairdryers, toiletries, and bathtubs. Some rooms have pool views, while some a portion of suites have separate lounge and dining areas. There are several places to dine within the hotel. Garden Lounge offers light meals and has an exterior terrace. The Garden Grille serves daily buffet breakfast in a casual environment in addition to Indonesian and Western cuisines. While enjoying their meals, guests can sit around the table and share travel stories with their friends and family. During their downtime, guests can take advantage of the 24-hour hotel gym, while the outdoor hotel pool is also an ideal place to cool down after a busy day of sightseeing. The hotel has a 24-hour business center, assuring that all business can be taken care of whenever it arises. The friendly hotel staff provides luggage storage, currency exchange, and 24-hour front desk services. 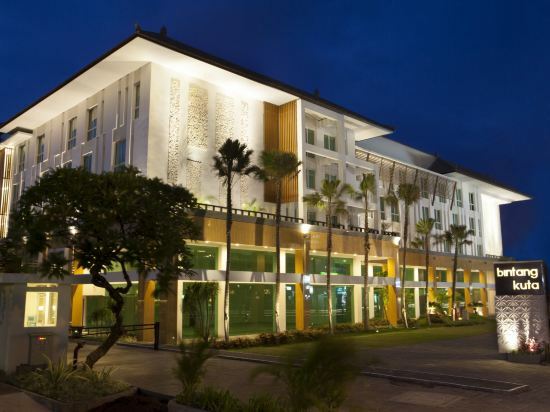 Holiday Inn Express Baruna Bali, located in Kuta, Bali, is a popular choice for travelers. From here, guests can enjoy easy access to all that the lively city has to offer. With its convenient location, the hotel offers easy access to the city's must-see destinations. At Holiday Inn Express Baruna Bali, every effort is made to make guests feel comfortable. To do so, the hotel provides the best in services and amenities. This hotel offers numerous on-site facilities to satisfy even the most discerning guest. All guest accommodations feature thoughtful amenities to ensure an unparalleled sense of comfort. Besides, the hotel's host of recreational offerings ensures you have plenty to do during your stay. Superb facilities and an excellent location make the Holiday Inn Express Baruna Bali the perfect base from which to enjoy your stay in Bali. 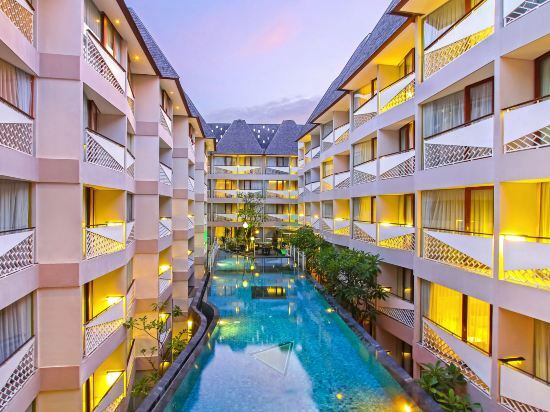 D Varee Diva Kuta Bali is located in the business area of Simpang Siur which is next to the Bali Galleria Shopping Mall (Cinemas, Café, DFS),10 minutes driving from Ngurah Rai International Airport. The hotel offers 190 rooms that consist of 174 superior rooms, 6 Family Room and 10 Loft Duplex Rooms with modern interior design. The hotel also has an all-day dining restaurant, pool bar, Kids club, fitness center, swimming pool, spa, conviviality/internet corner and shuttle service. 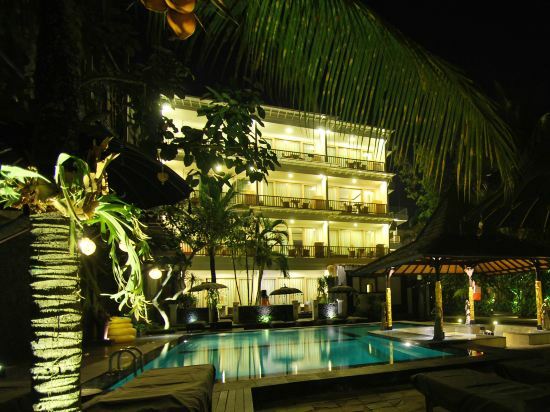 Built in 2012, Bintang Kuta Hotel is a distinct addition to Bali and a smart choice for travelers. The city center is merely 10.0 Km away and the airport can be reached within 10 minutes. For those of you who want to venture out, Putu Manuaba Hospital, Kuta Beach, Discovery Shopping Mall are just some of the attractions available to visitors. The hotel operates a 24-hour front desk that can assist with luggage storage, laundry and car rental services. Meeting/banqueting facilities and tour desk are provided. Guests can relax at the sun terrace and enjoy views of the garden. Shuttle service can also be arranged at a charge. Overlooking the beautiful outdoor pool, Bintang Kuta Bali restaurant serves Indonesian and Balinese dishes for guests. Room service is also available. Bali is one of the most well-known islands in Indonesia. It located in the Indian Ocean, 8 degrees south of the equator. Unlike most islands in Southeast Asia, Bali has more than just sandy beaches, blue seas, and tropical sunlight. Bali is also home to farmhouses, rainforests, grasslands, deep valleys and other beautiful scenery. In addition, there are six volcanoes on the northern part of the island. Bali is also an island of art. Its unique style of traditional painting and sculpture has provided inspiration to contemporary Western artists and attracted many explorers. Bali is also an island of relaxation, and spa services are abundant. The “Bali-style” private villa service is extremely relaxing and considered to be the ultimate luxury by some. Popular areas for travel in Bali include the southern beach areas such as Kuta, Sanur, and Nusa Dua, Ubud and its surrounding areas, and the central mountain areas between the Kintamani Volcano and Mount Agung. Five days is an adequate amount of time to spend in Bali. With five days, visitors could spend 2 days on the southern coast, 2 days in the Ubud area and the central mountains, the last day relaxing or shopping. Bali is known as a honeymoon paradise, and it’s the first choice for many newly-married couples. In Bali, there’s no need to rush from attraction to attraction, it’s best to just relax among the beautiful surroundings. Bali has the type of climate typical for a tropical island. It’s hot all year round and has an annual average temperature of about 28°C. Bali has two seasons; dry season and rainy season. The dry season is from May to October and the rainy season is -from November to April. During the whole year it is suitable for traveling. The dry season is Bali's best season for travelling, and it is also a busy season. The weather is clear and the humidity level is relatively low, making it suitable for vacationing. July-September is also the best season for surfing. During the rainy season, heavy rain often falls suddenly in the afternoon, but it usually stops and starts suddenly and doesn’t have too much of an impact on travel. Travel costs are relatively low at this time. T-shirts, shorts, and sandals can be worn throughout the year. It’s important to note that regardless of the season, the sun in Bali is very strong, so make sure to bring a hat, sunglasses and sunscreen. Located on the equator, Bali has a stunning natural environment as well as a strong artistic and cultural atmosphere. There are a lot of hotels, boutique resorts, luxury private villas, and budget hotels in Bali to choose from. Whether you’re on your honeymoon or traveling with your family, you can be assured that Bali has a hotel that will suit your needs. The Kuta area is the preferred place to stay for tourists. It has beaches, sunsets, and many food options. It’s a surfer’s paradise during the day and has vibrant nightlife after the sun sets. Those looking for a quieter place can consider staying in Jimbaran or Seminyak. Jimbaran Beach is famous for its seafood stalls. There are many hotels in Bali, ranging from luxury private villas and boutique resorts to small, economic hotels. Entire luxury villas with independent space are a very popular type of accommodation in Bali. These types of villas can mainly be found in Ubud and the southern region. They feature large spaces, luxurious decorations, and often have private yards and swimming pools. The price is relatively expensive at 800 to 1000 US dollars per night, and prices are sometimes known to be even higher. This type of accommodation is suitable for those who seek higher quality lodging and privacy. In general, luxury villas are mostly chosen for family trips or honeymoons. Most of the large resort hotels on the island are located in southern Jimbaran, Nusa Dua, and Seminyak. 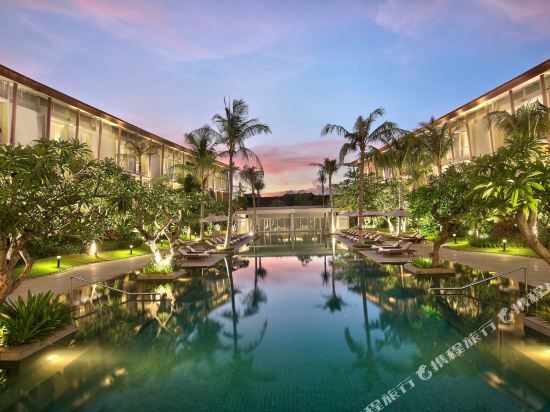 These hotels in Bali have a variety of on-site restaurants, spas, and bars. The price of a large resort hotel is usually around USD 400 to 600 per night. Small boutique hotels offer more cost-effective accommodation options in the southern region and Ubud area. The price of these hotels is usually around USD 100 to 200. Visitors can also choose budget accommodations at a lower price which are mainly located in Tulamben, Lovina, and other regions.